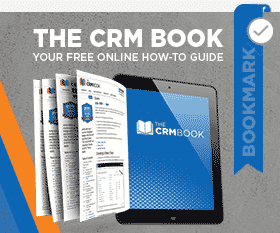 Organizations often want custom CRM screens for Microsoft Dynamics 365 to meet their unique business processes, help improve user acceptance, and reduce clicks to find, retrieve, and view CRM data. PowerObjects has developed methods to customize your CRM and many reusable parts, and code that allows users to create screens quickly. We can build a custom screen for your organization with robust features that will improve staff user acceptance of your CRM/xRM system and improve the ROI of your project. Custom screens are most often needed when the standard out-of-the-box CRM forms do not meet your business needs. Standard CRM functionality for Dynamics 365 is powerful on its own, but there are times when users may need custom CRM screens to meet their unique business needs. PowerObjects can work with you to understand your requirements and code custom screens to your specifications. We have developed proven methods to customize CRM and many reusable parts, and code that allows users to create screens quickly. Questions about how your organization can use custom CRM screens? Reach out to us today.